Matt has extensive experience in civil and business litigation, as well as professional liability matters, throughout California. His extraordinary record of favorable outcomes and exemplary client service has drawn recognition by his peers including an AV Preeminent Martindale-Hubbell peer review rating and the prestigious 2014 Jerrold S. Oliver Award of Excellence for his spirit of commitment, loyalty and trust for the betterment of the entire construction litigation community. Matt is also a trained mediator and, in 1982, assisted in founding the University of San Diego School of Law Mediation Center. Matt's arbitration and trial experience includes actions involving construction and product defects, contract, surety and labor disputes, professional malpractice, public works claim prosecution, construction accidents, inverse condemnation and other property rights, government tort liability and Fair Employment and Housing Act claims. In the area of construction law, Matt has represented large commercial and residential developers, general contractors, subcontractors, sureties, architects, engineers, product suppliers and manufacturers. He is familiar with every facet of construction litigation and claim resolution. He has drafted and negotiated contracts, prosecuted breach of contract claims and collection and lien actions, pursued and litigated claims, both public and private, and defended contractors, design professionals and sureties in indemnity related actions. He has also defended construction design professionals in malpractice actions and has handled construction related appellate matters. He is a frequent speaker at seminars throughout California and was a panel speaker at the 2005, 2007, 2011 and 2019 Construction Defect Seminars for West Coast Casualty’s annual event. Matt has also represented business owners and companies in complex contract disputes and dissolution actions. He has represented governmental entities in employment, tort and land use matters. He has represented national manufacturing companies concerning product defect claims. And he has represented numerous professionals in malpractice actions including insurance brokers, architects, engineers and real estate brokers and agents. Matt is familiar with standard of care issues and related professional activity. Matt has regularly been listed as one of the Top 10 San Diego Super Lawyers starting in 2013. 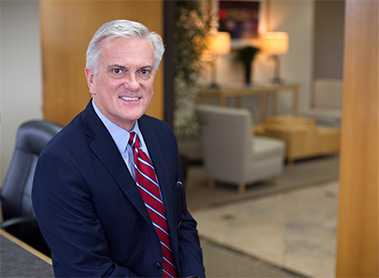 He has been recognized by inclusion in the “Top Attorney” lists for San Diego including “San Diego’s Top Attorneys” by The Daily Transcript, the San Diego Business Journal’s Inaugural Best of the Bar in 2014, San Diego Magazine’s Best Lawyers, and Best Lawyers in America. Notably, Best Lawyers in America identified Matt amongst its distinguished national attorneys. Matt is admitted to practice before the state courts of California, the Southern, Eastern and Central United States District Courts of California and the Ninth Circuit Court of Appeals. When not in court, Matt serves as CFO for the Hope for a Cure Foundation, which is dedicated to funding highly specialized scientific research equipment for the Moores Cancer Center, which is part of the University of California at San Diego.